We offer an end of tenancy cleaning service covering all the cleaning areas these require. We currently work with Letting Agents throughout Milton Keynes and Northampton and are fully aware of what they are looking for when you move out regarding carpet cleaning and domestic house cleaning. Our cleaners are fully insured and regularly trained and monitored to maintain our high standards. 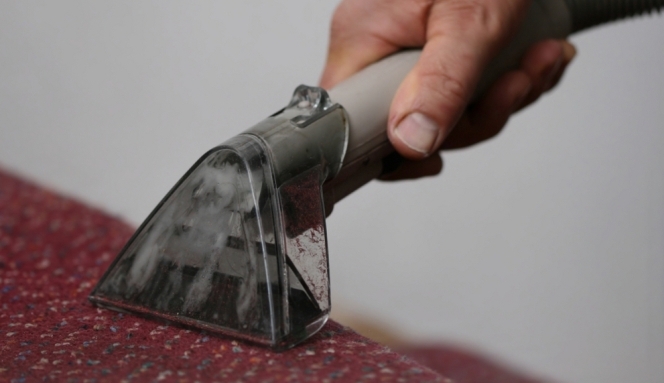 We are flexible, reliable and can build a domestic and carpet cleaning service around your needs. Spring cleaning and regular or occasional cleaning services are available also. Call us today on 01908 373 928 for a free no-obligation quotation. When one set of tenants leaves a property and new tenants are about to move in, it is important that the property is thoroughly cleaned. Doing so will not only make it a much more pleasant place for tenants to live, it’ll also ensure that you get the best price and a fast fill for your property. One of the major advantages of using professional cleaning services for landlords is that it will save them the time and effort of completing this job themselves. This is particularly the case for landlords who have more than one property to manage or those who have another full-time job in addition to managing their property portfolio. Also, our cleaners will have the right products and equipment to complete the job to a much higher standard than you might be able achieve yourself. Another benefit is that it can increase your chances of getting new tenants quickly. Having a high occupancy rate is important when you rent out a property, as any time the property is empty you will not be making any money. In fact, you might even lose money during this period – hardly a perfect business plan! Tenants will be looking at what rental properties are available for their budget in the area and they’ll compare your property against others they have seen. If your property does not compare favourably, the chances are good that they will look elsewhere. On the other hand, if your property is smart, clean, fresh and welcoming, then a potential tenant is more likely to choose your property above others. A clean property at the start of your landlord-tenant relationship can also pave the way for good communication in the future and reduce the chances of you getting complaints from the tenants. You will be showing potential tenants that you care about their health and wellbeing by providing them with a hygienic and homely property. The main benefit for tenants in hiring end of tenancy cleaning services is that they can protect their rental deposit. This is a sum of money paid at the beginning of the tenancy that can be used to cover the costs of repair, damage or cleaning if the tenants leave the property in an unsatisfactory condition. It is in the best interests of the tenant to leave the property in the best state possible to avoid losing this money altogether. If you are a tenant and you are struggling to find the time to complete the cleaning to a high standard yourself, then it is worth considering hiring our professional end of tenancy cleaning services. If you are either a tenant or a landlord in the Milton Keynes or Northampton area and you would like to use our services, do not hesitate to contact us. Although we work closely with letting agents in these areas, it is also possible to hire our services direct. Our company works to an extremely high standard and all our staff are regularly trained and monitored to maintain these standards. Furthermore, our cleaners are fully insured and this will give you the confidence that you will not encounter any problems if you choose to use our company.